I hope you all had a Marvelous Monday! I wanted to share some cute place cards during my Blog Like Crazy Challenge this month. Whether you are having a small dinner party or large celebration, It’s always a good idea to plan ahead with your menu and décor. Choose a color palette first and build everything else from your color palette. I just love beautiful table escapes and the place cards add the final touch to your table. 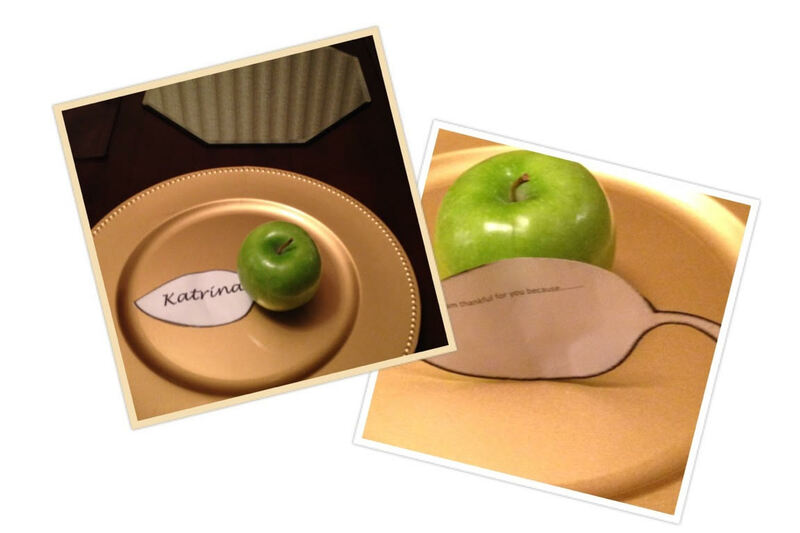 Today I am sharing apple place cards. Nothing says fall like apples. I decided to show you two ideas of how you can add your guest name. Use a leaf template small or big. If you use a small template you can tie it around the apple stem. I used a big template and put it under the apple. On one leaf template I added a guest name. On the other leaf template I added I am thankful for you because and left a space for you to write why you are thankful for that guest. The key is to be festive but simple! Happy Fall Y’all! !